Available as Compact Disc and Digital Download. Limited Edition 7" Vinyl of just the 3 flight of the bleeper bird tracks available at meerenai.bandcamp.com. 2013 marks one hundred years since Luigi Russolo wrote his landmark Futurist manifesto, The Art of Noises, in which he called upon composers to use all possible sounds when creating new works. Janice Misurell-Mitchell’s The Art of Noise for flute and percussion takes Russolo’s writings as a starting place for her exciting new duo whose title is used for this CD. Flutist Meerenai Shim shares a wide sonic spectrum with her listeners on this recording from traditional flute/cello/piano trio to Nintendo Gameboy. Five composers (Daniel Felsenfeld, Janice Misurell-Mitchell, Jay C. Batzner, Matthew Joseph Payne, and David E. Farrell) share their music on this recording. These refreshing new works were all composed in the last five years. Meerenai Shim, along with her collaborators, pianist Lori Lack, cellist Paul Rhodes and percussionist Christopher G. Jones, have come together to expertly perform welcome new additions to the ever growing flute repertoire. Meerenai Shim - flute, alto flute, voice, brake drums, suspended cymbals, castanets, gong and mouth siren. Christopher G. Jones - vibraphone, flower pots, mouth siren, cowbells, snare drum, washboard, congas, temple blocks, bongos, bamboo and metal wind chimes, brake drums, suspended cymbals, gong, tambourine, and tom-toms. allowing the piano to sink the listener into a quiet maelstrom of trembling, a sad texture. When they resume, they sing, but their loveliness, like all things, must perish. The last movement, “Dithyramb,” allows a mocking and somewhat churlish awakening, a dawning, a call to worship at the proper raucous altar for a musician: that of Dionysus, (who probably never had to turn in an application or submit his work to the dull rigors of a competition; for this, we admire him, and hope he heeds my call). Some styles and trends were mocked in the making of this piece, but none so much as the composer himself. Daniel Felsenfeld has been commissioned and performed by Simone Dinnerstein, Opera On Tap, Metropolis Ensemble, Meerenai Shim, Two Sense, ASCAP, San Jose Opera, ETHEL, Great Noise Ensemble, American Opera Projects, the Da Capo Chamber Players, Transit, Nadia Sirota, Blair McMillen, Holly Chatham, Cornelius Duffallo, Stephianie Mortimore, Mellissa Hughes, Corey Dargel, Jenny Lin, New York City Opera (VOX), ACME, Redshift, New Gallery, Jody Redhage, Caroline Worra, New England Conservatory Philharmonic in venues such as Carnegie Hall, Galapagos Art Space, The Kimmell Center, Jordan Hall, the Kitchen, Stanford University, Harvard University, Le Poisson Rouge, and the Kennedy Center in Washington, D.C. as part of the MATA Festival, Make Music New York, 21c Liederabend, Opera Grows in Brooklyn, New Brew. Future projects include pieces for Sequitur, Kathy Supove, Michael Zegarski, Great Noise, Ashley Bathgate and Ensemble 212, and Vision Into Art. When Jay-Z performed in Carnegie Hall with an orchestra, Felsenfeld was asked to do all of the orchestrations and arrangements. He also collaborated with The Roots (offering music on their latest record Undun, appearing with them and the Metropolis Ensemble on the Jimmy Fallon Show) and ?uestlove with Keren Ann and David Murray. “Mercurial is a journey that highlights the soloist’s ability to blend into a wide variety of sonic landscapes. The piece begins with ow droning flute sounds and once the soloist is comfortable in that setting, the scene changes abruptly. Noisy beats take over the piece and push the soloist to adapt to the new surroundings. Again, when the soloist is comfortable, an abrupt change tosses the performer into a much noisier and less friendly arena. The low flute drones gradually reappear but not for long. Yet another noisy groove sneaks in and takes control of the piece. The work ends with a return to the beginning but this time the performer is alone and revels in the solitude. Jay C. Batzner is on the faculty of Central Michigan University where he teaches theory, composition, and technology courses. Prior to this position he served on the faculty of the University of Central Florida and at several community colleges in the Kansas City metropolitan area. He earned his doctorate in composition at the University of Missouri – Kansas City in 2006 and holds degrees in composition and/or theory from the University of Louisville and the University of Kansas. 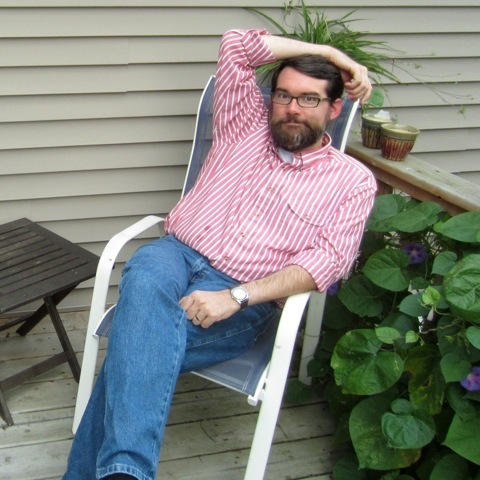 In addition to being an active composer of acoustic and electroacoustic music, Jay is a blogger and CD reviewer for Sequenza21 and serves as the Programming Director for Electronic Music Midwest. His music has earned accolades from such groups as Institut International de Musique Electroacoustique de Bourges, the London International Film Festival, the VI Concurso Internacional de Miniaturas Electroacusticas, the Areon Flutes International Composition Competition, and the UK Percussion Ensemble Composition Contest. He self-publishes through Unsafe Bull Music and his works are available on his website: www.jaybatzner.com. Jay practices zazen, reads comic books, geeks out about sci-fi stuff, sews clothes, brews beer, and juggles. “Chiptune is often seen as a study of working within limitations, but in reality the four monophonic voices (only three of which can play actual pitches) of the GameBoy's internal synthesizer have a wider pitch range and more tonal variety than a string trio. Each voice is capable of changing musical roles instantaneously and rapidly, interchanging melodic, harmonic or percussive duties in ways that human players could never manage. Such a set of voices would only be considered limitations in the world of computer music, where artists are used to having essentially infinite voices with infinite capabilities, being limited only by the capabilities of their computer. The modern flutist has a lot in common with the typical voice a chip tune composer has to work with. Beatboxing allows the flutist to create percussion effects, similar to the Game Boy square wave channel's sweep effects that can be used to create kick and tom drums. Flutter tounging in the flute mirrors the Game Boy's hard vibrato distortion. Flight of the Bleeper Bird is by no means the first piece to bring chipmusic hardware and sounds into the realm of composed music, but much of the work I've heard so far focuses on what happens when "real" instruments are asked to do their thing alongside bleeps and bloops, or what happens when an NES becomes the backing ensemble for a solo concerto. When Meerenai asked me to write a piece for flute and gameboy, I almost immediately knew that I wanted to treat the flute as a fifth voice for the gameboy, and integrate it into my chipmusic composing style. The result was a wild ride that has as much in common with danceable chiptune as it does with music in the concert setting, and explores someof the things that are possible with just one more voice added. To add an additional, somewhat ridiculous layer, samples of Meerenai's flute playing were recorded and are played back by the Game Boy (the console's WAV channel is capable of playing back two samples simultaneously). While the samples aren't particularly recognizable, they allow the instruments to switch roles in a somewhat amusing way. David E. Farrell is a composer based in Denver, CO. His music has been performed by ensembles across the United States, including the North/South Chamber Orchestra, the Playground Ensemble, the Indiana University Symphonic Band, the University of Iowa Center for New Music Ensemble, the Metropolitan State University of Denver Brass Ensemble, and the University of Illinois Chamber Orchestra as winner of the University of Illinois Orchestra Composition Competition. His works have been featured at the Wolf Museum of Music and Art's John Cage Centenary, the Sam Houston State University Contemporary Music Festival, the University of South Dakota's "60/60" concerts, the Midwest Composers Symposium, the University of Nebraska-Lincoln Chamber Music Institute, and the University of Cincinnati's Music07 Festival. David studied at the University of Illinois and at Indiana University's Jacobs School of Music, where he earned a D.M. in Composition. His teachers have included Claude Baker, Zack Browning, William Brooks, Don Freund, Gabriela Ortiz, P.Q. Phan, Stephen Taylor, and Richard Wernick. 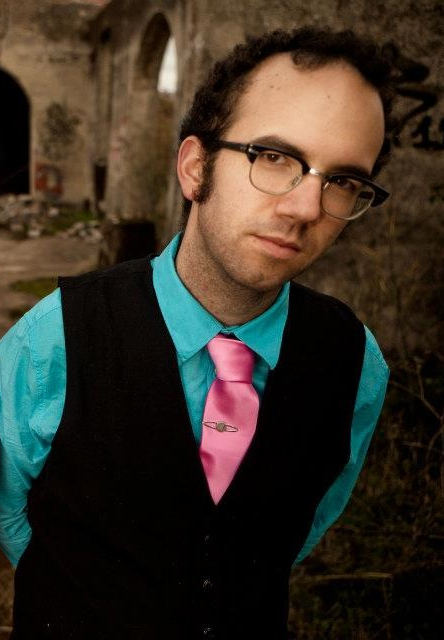 David currently teaches composition and music theory at Metropolitan State University of Denver. His music can be heard at www.davidefarrell.com. 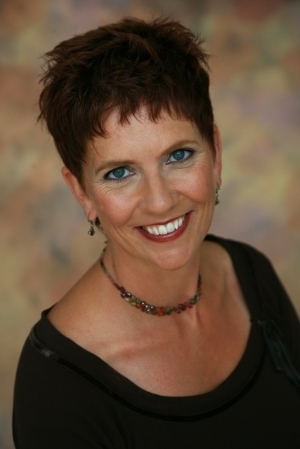 Lori Lack, Piano, has performed as a soloist and chamber musician throughout Europe and the United States. Most recently, she had a piano trio with Christina Mok and Joanne Lin, was a member of the Laurel Ensemble, and has performed with the San Francisco Chamber Orchestra and Gold Coast Chamber Players. As a collaborative pianist, she has performed in recital with many artists including the Alexander String Quartet, the Stamic Quartet, Robin Sharp, Jassen Todorov, Gary Gray, Stephen Paulson, and Matt Haimovitz. She has also performed as a member of the San Francisco Symphony and accompanied SF Symphony auditions. She received her degrees from the San Francisco Conservatory of Music, the Hochschule für Musik in Vienna, and San Francisco State University. In addition to serving on the faculty of CSU Summer Arts and California Summer Music, she has worked as an instrumental accompanist at the San Francisco Conservatory of Music and San Francisco State University. Paul Rhodes, Cello, received the Bachelor of Arts in Music from Dominican College, where he studied with Margaret Rowell, and the Master of Music from the University of Texas at Austin after studies with Paul Olefsky. Paul is a member of the Oakland-East Bay Symphony and, in the summer, the Carmel Bach Festival. Locally, he has worked with the symphonies of Berkeley, Marin, California, Sacramento and San Jose as well as with the New Century Chamber Orchestra, Santa Cruz Baroque Festival, and Earplay. Outside the San Francisco Bay area he has appeared with the San Antonio Symphony, Brandywine Baroque, Orchestra of Santa Fe, Reinische Philharmonie, and the Jugend im Musik festival in Vienna. Known as a fearless interpreter of contemporary classical music,Christopher G. Jones approaches all musical styles with one part humor, one part care, and two parts bravado. He continues his endless pursuit of blurring and breaking the boundaries between classical, contemporary, and experimental music with the A/B Duo. When he is not busy collaborating regularly with Ensemble Dal Niente, Third Coast Percussion, Anaphora Ensemble, and other highly acclaimed chamber ensembles, Chris can be found organizing an 18-hour performance of Satie’s Vexations for Make Music Chicago, building boats for a performance of Persephassa by Iannis Xennakis in New York City or joining ninety-eight of his colleagues in a performance of Inuksuit by John Luther Adams. Other recent performances have taken him to varied and prestigious venues such as The Green Mill in Chicago, the Paris Conservatory, Musikhockschule of Stuttgart, and Carnegie Hall. Chris studies with his mentor Michael Burritt as a Doctor of Musical Arts candidate in Percussion Performance and Literature at the Eastman School of Music. In addition to Michael Burritt, Chris has studied with James Ross, William Cahn, Dr. John W. Parks IV, John Evans, and Charles Ross. He received his Bachelor’s Degree in Percussion Performance from Florida State University, his Master’s Degree in Percussion Performance and Literature from the Eastman School of Music, as well as the acclaimed Performers Certificate from the Eastman School of Music.